Planning to visit Iceland ? Don't want to drive ? That's fine, there are many Iceland day tours available to you. The thing is to find the right ones for you in a sea of proposals. 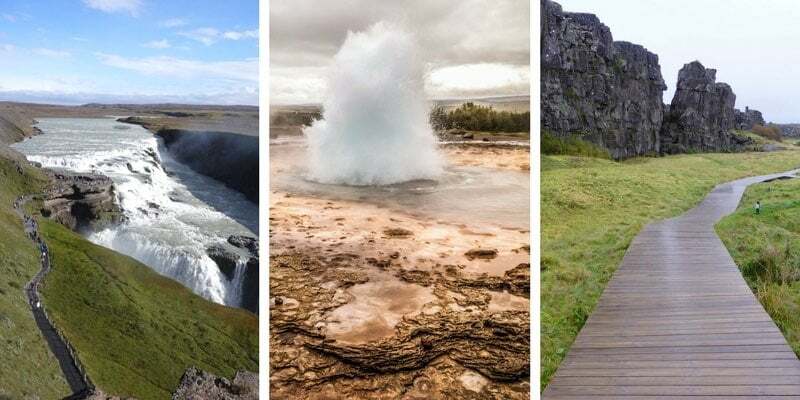 So here is my own selection of destinations for the best day trips from Reykjavik : to see the scenery, to get off the beaten path, to see the Northern lights or wildlife... Those Iceland Excursions should be memorable! Note: This article also provides some information if you want to do those day trips from Reykjavik on your own. Why choose to visit Iceland via day tours from Reykjavik? I know this website is a lot about Road Tripping by yourself to discover the country. I love that way of traveling. This photo was taken on the South Coast from the front of a bus!!! To enjoy the scenery - There is so much to see when you discover another country, but when you worry about the driving and the direction, you can't really enjoy it. Whereas when on an excursions you can just sit back and capture memories of a lot, especially with the ever changing magnificent landscapes of Iceland! Not to lose time - If you have only a couple of days, you don't want to lose time with all the paperwork and time constraints of renting a car - with day tours, you are alreay on the road! So staying in Reykjavik and taking day trips from there is a great option! You can check my article about Iceland accommodations to find suggestions about where to stay. I really enjoyed my charming B&B called Reykjavik Treasure! The offer of Iceland Excursions is huge. So much to choose from. So below is my selection of the tours you could take depending on what you enjoy seeing and doing. Some tours involve a lot of time on the road. So you should alternate with shorter ones such as a few hours soaking up in the Blue Lagoon. Or the Snaefellsnes peninsula, considered the "Iceland in miniature" with fjords, waterfalls, glacier, volcanoes, lava fields... so much to see! 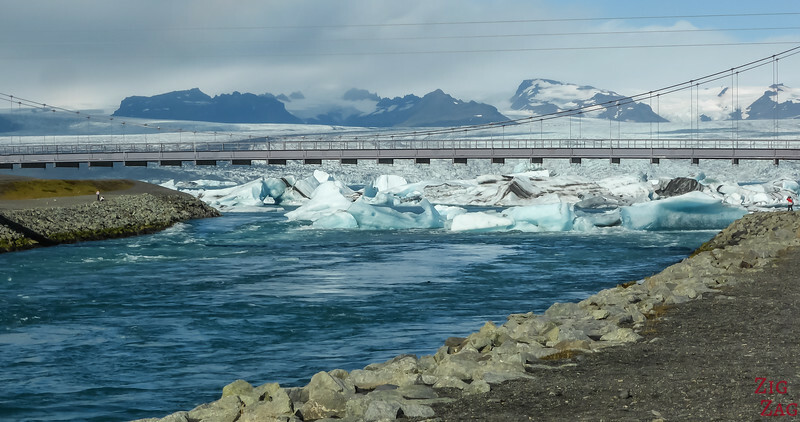 A Jokulsarlon Day Trip From Reykjavik will take you along the beautiful landscapes of the South Coast with black sand beaches, waterfalls and glacier all the way to the Famous Jokulsarlon. Across the road, you can walk to Jokulsarlon beach aka Diamond Beach where some icebergs are pushed back on the black sand beach and you can walk right up to them. Want to see more photos of Jokulsarlon lagoon? Hea﻿﻿d to m﻿﻿y article. In Summer, the days are long, so after enjoying the icebergs, on the return trip you can stop at the 2 main waterfalls: Seljalandsfoss and Skogafoss. Not many minibus options for this tour. Probably because of the length of the trip and the fact that there are less stops. Please don't complain about the length of the drive. You are warned. But it is worth it! You can sit on any side of the bus as you will come back via the same road. See some of the highlights of the first half of the Icelandic South Coast. ​Seljalandsfoss - the waterfall does not look like much from the front but once you walk behind it, it reveals its magical beauty 🙂 Loved it! Want to see more photos of the Seljalandsfoss ? Head to my article. 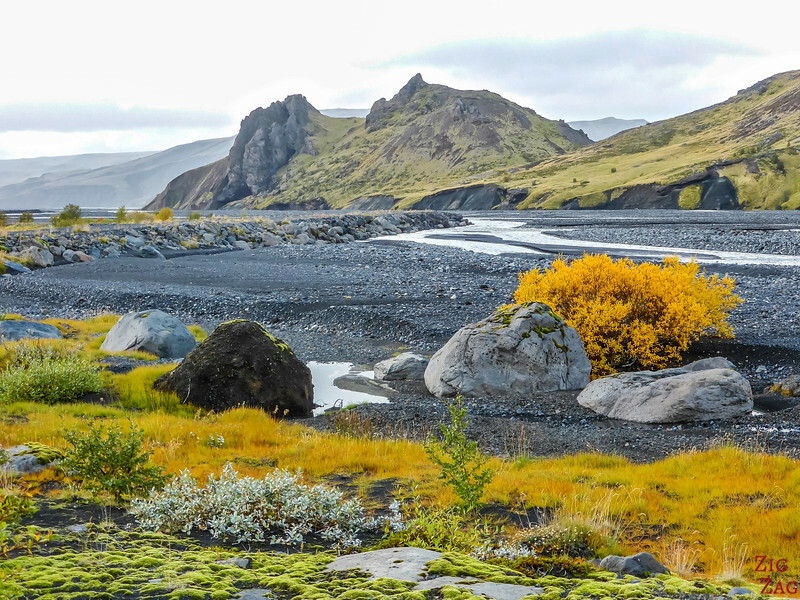 This Iceland Day tour on a comfortable Minibus will have you hit all those wonderful locations. Head North out of Reykjavik towards Borgarnes and continue towards Grundarfjordur. Check possible stops on my Peninsula article. A great program for this Iceland Day tour on a comfortable Minibus. With a small group you will be able to see a lot and not waste time. Haukadalur, home of Geysir. However the geyser that you will see erupt every 5 to 8 minutes is called Strokkur. A lot of fun. The Geothermal area also displays fumaroles and bubbling mud pools. A minibus tour for a more personalized experience of the most famous Iceland Day Tour. The best way to admire the landscapes if often from the skye. I love flying in an helicopter. Sadly I could not fit it in my itinerary. But I was lucky that my flight from Reykjavik to Akureyri was on a clear day, and I could see a little bit of what you could experience with such a tour. The elegant shapes of the fjords, and the massive side of the glaciers!!!! It is quite a budget, but your eyes will sparkle for years I think! In the Thingvellir National Park (on the Golden circle) are giant fault lines, evidence that the Eurasian and American tectonic plates are moving away. Some of those fissure are filled with water. 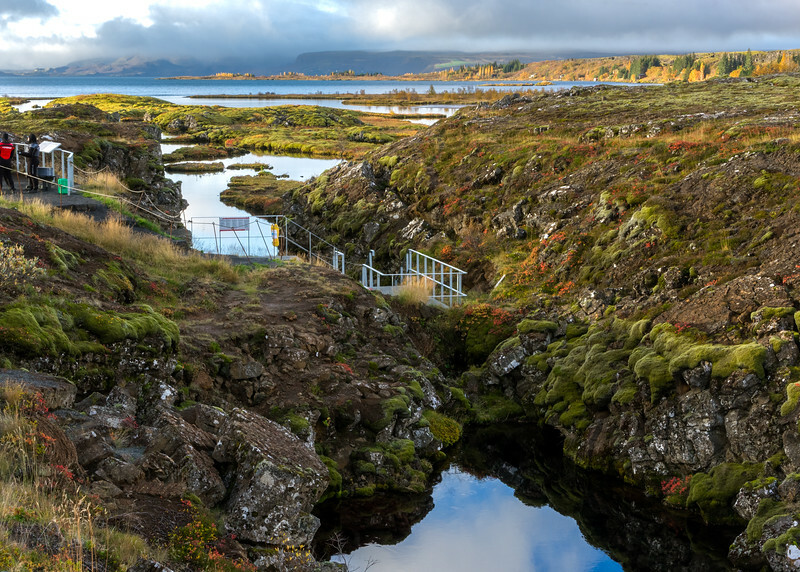 The most famous is the Silfra Fissure where you can snorkel or dive. After that experience, people report about the clarity of the water and the peacefulness of the place. All the equipment is provided with drysuits to keep you warm. If you are on a self drive tour of the Golden Circle, you can book only the Snorkeling experience without pick-up in Reykjavik. 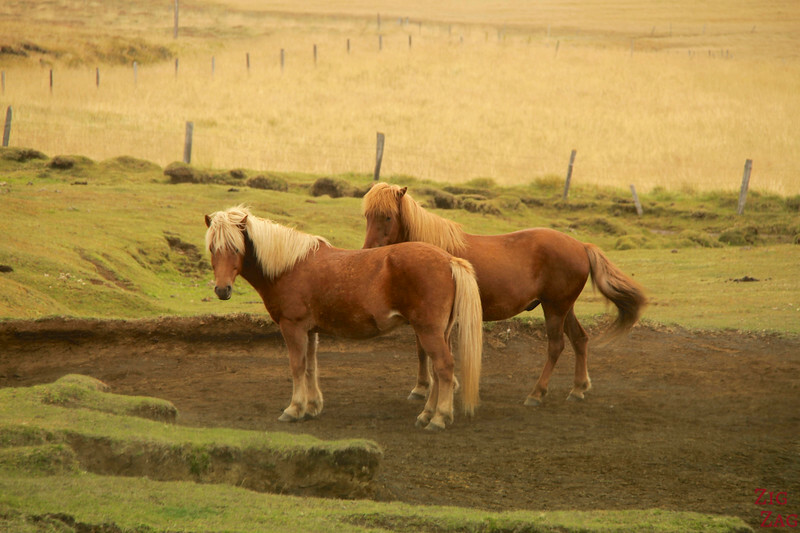 Icelandic is also famous for its breed of horses. They are small, with straight profile and wide forehead. Their double coat protect them well against the cold. Apparently even their blood is significantly different. 1h30 to 2h riding excursion. Love winter sports? Well even in Summer you can enjoy the large glaciers of Iceland. This activity takes places on different glacier. 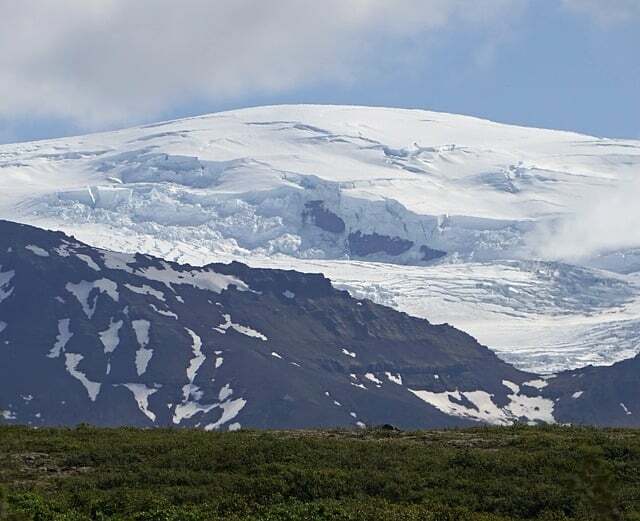 For example, Langjökull is the second largest glacier in Europe. On the way to the glacier admire the famous Gullfoss and see the geyser erupt at Haukadalur. Love fishing? Have fun sea fishing in the Icelandic waters with amazing views of the Fjords. 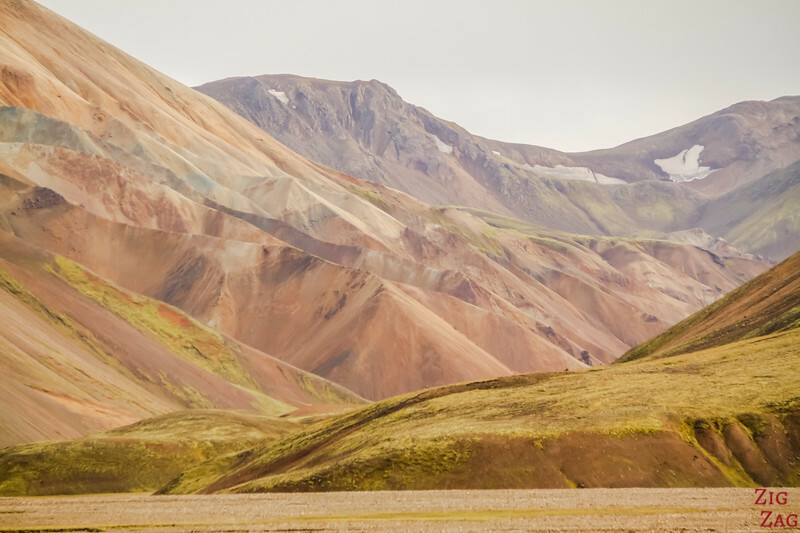 Landmannalaugar is one of the most praised landscapes in Iceland. Located in the central highlands, it can only be reached by 4 wheel drive or hiking on the famous Lauvegur trail. In this valley the colorful mountains look surreal, especially if you watch them soaking in the natural hot springs. Book your pick up from Reykjavik on top of the tour. Once there, you ca enjoy a guided 4h hike to make the most of your time in this unique landscape. At then relax your muscles in one of the natural hot pools. Reaching Thorsmork is quite a 4WD adventure. The isolated valley is cut from the rest by rivers. Those can be powerful when the ice is melting and the crossing becomes quite a thrill. I trusted my driver but it was still a little bit scary! At the end the Thorsmork ladnscapes is different from the rest of Iceland with a greener area where you can hike. Thorsmork is the "Valley of the Gods". And here come the Northern Lights. The dream of many travelers coming to Iceland. If you are coming in June/July, I am sorry but you have to forget it, not enough night time to get a chance to see them. And then you have to chase them... If there is cloud you can drive further if it is possible to see them somewhere else. This is why doing a tour with experts Night Lights chasers with a good idea. 3 options for you. Don't be alarm by ratings on those tours, this is always the case for all companies. People are disappointed not seeing the lights and chasing, stopping, waiting in the cold... for sometimes just seeing a faint glimpse. 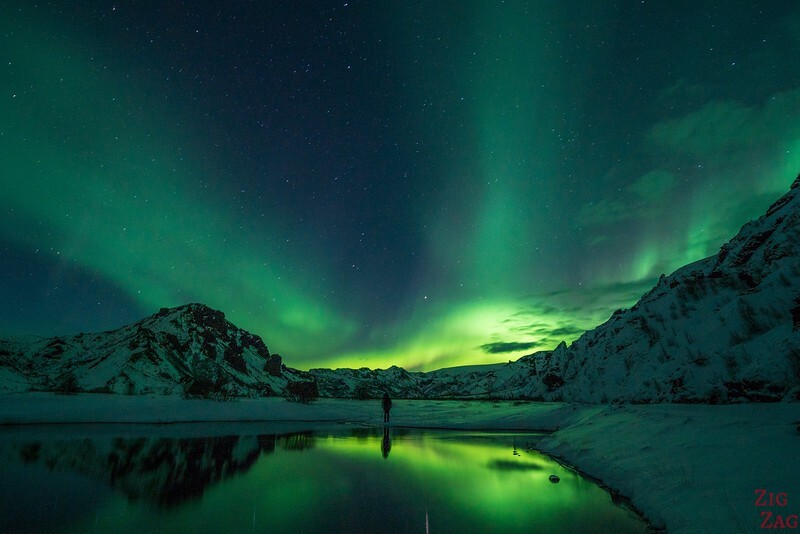 The classic option of a Reykjavik Northern Lights tour is by bus. You check all the day the forecast, you get picked up, you pray for a clear sky... and with some luck you can admire the danse of colors. A more original option is to chase them by boat. With a very small group and a better vehicle, the driver can really take out off the roads and source light to find them. And you won't waster time waiting for your turn to get out of the bus. 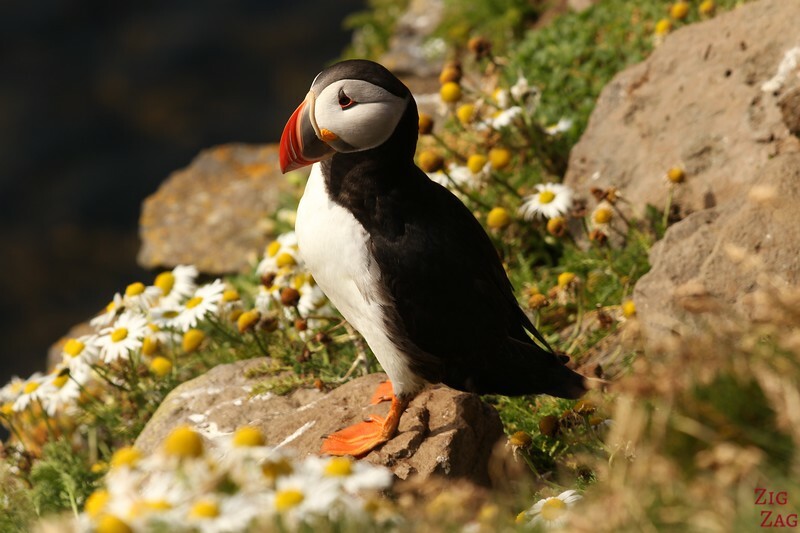 In season, you can also enjoy wildlife day tours from Reykjavik to see whales or puffins. But remember that those are wild animals, and it cannot be guaranteed that you see whales. ​Best times to see whales in Iceland is from April to September. Best period is form May to Mid-August. Want the chance to see even more? 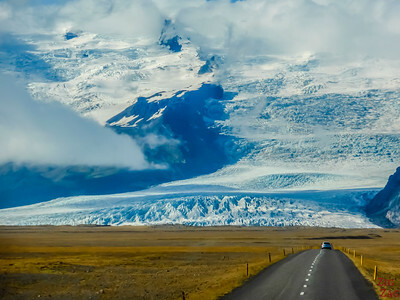 If you want to spend less time on the road and more time at the attractions, consider doing and Iceland overnight trip from Reykjavik or an Iceland Multiday tour. But be aware than very different types of caves are marketed as "ice caves". One of the best ones is the Crystal Ice Cave... but it is far, close to Jokulsarlon. Visit a smaller cave (still beautiful) and combine with snowmobile tour on the glacier. 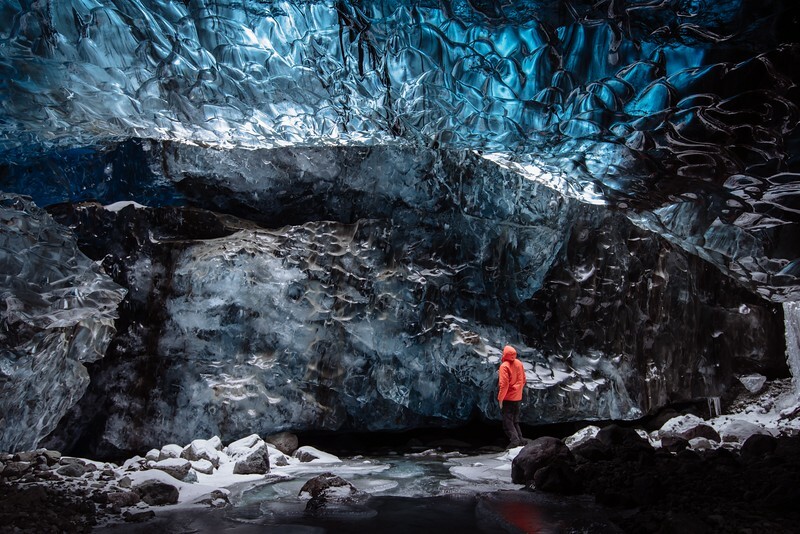 Book an overnight tour with the South Coast, Jokulsarlon and the cristal Ice Cave. In Winter, since the sun sets early you will need 3 days to properly cover the South Coast with waterfall, black sand beach, Glacier and Jokulsarlon Lagoons.. But the tour also include a visit to the magnificent blue crystal ice cave! Which ones would you like to experience? 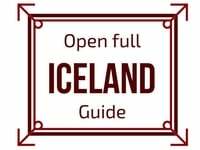 Great Information about Iceland. I didn’t visit yet. After going through your blog, I will definitely visit at Iceland and experience all the different tours. Thanks for your comment Nitin. Glad you go inspired! Loved reading about your trip. It has given me ideas of what to do there and how I need to plan my trip. I am sorry but I am not a travel agent. I still had a look and all I can find are tours departing earlier than your arrival. Since it is an 11h day tour. Your only option would be to hire a Superjeep private tour but that will be quite a budget.